Shujaat’s killing: Taking Kashmir back to 90s? At times, realities become incredibly strange. Recently, one such strange reality was agonizingly seen in Kashmir. 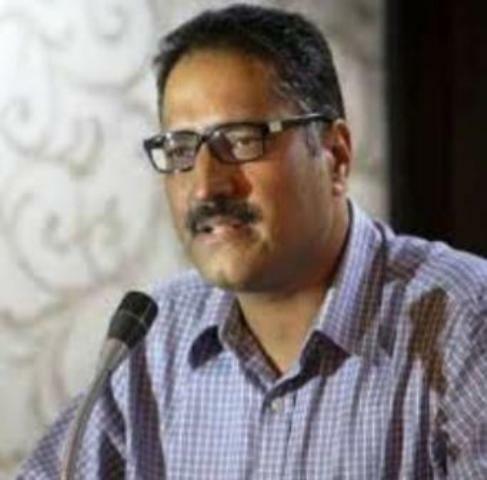 A powerful voice of versatile senior journalist, Shujaat Bukhari, in support of unilateral ceasefire in Kashmir as part of a peace initiative, was silenced by the militants and his brutal killing became one of the grounds to revoke it by the Govt of India, to the liking of the anti- peace and hate- India groups who did everything to derail the peace initiative during holy Ramzan. Besides being against the tenets of Islam, the violent killing of Editor of Rising Kashmir, litterateur and devout Muslim, just before Iftar outside his office on 14th June, 2018, on eve of holy Eid-ul-Fitr, is a turning point in three-decade old terrorism which its perpetrators call jihad. The message to media is loud and clear: fall in line or face bullets. The terrorists and their mentors in Pakistan are trying to take Kashmir back to early nineties by silencing the voice of objectivity, rationality, sanity, dialogue and peace. By choosing the Press Enclave in the heart of Srinagar city for executing their target killing, the militants have injected fear in the minds of journalists against any ‘adventure’ of free and independent thinking, truthful reporting and pursuing peace agenda. The journalists are, indeed, scared and nonplus over what has happened to their friend, colleague, and mentor for some. To make things more frightening for them, a Pakistan’s non-state actors’ online portal, Kashmir fight, is busy in floating articles to denigrate the contributions of Shujaat Bukhari as a journalist and named six well reputed Kashmiri media persons for their alleged pro-India activities to harm the ‘movement’. At least, two articles have been posted on the portal, four weeks before Shujaat’s killing with disparaging headings “The Touts who are betraying Kashmir struggle” and “India’s infiltration through media houses to promote Indian version of Kashmir struggle”. These are part of it’s their venomous propaganda unleashed against Kashmiri scribes, some of whom they dubbed as the ones who “betray the very blood that runs in their veins by selling the sacrifices”. This is enough to unnerve the media whose growing voices against mindless spilling of blood, pointing fingers also towards militants, separatists and their mentor, Pakistan. India bashing in the media is an old story. A serious challenge has been thrown to media fraternity of Kashmir. The next few weeks would be crucial to see how the conspirators would make the next move. Similar fear was injected into the media in early phase of militancy in Kashmir when a frustrated senior Editor of an Urdu Daily, Gh. Mohd Sofi had to insert an “apology” on the front page of his newspaper seeking pardon from the “muhajideen leaders” for his inability to accommodate all of their press notes on the front page as per their diktat. It only demonstrated that the Editors had no power even to choose the place where press notes would be accommodated as per their professional understanding. But then, it was the Editors themselves who had joined hands to break the shackles of suppression and started exercising their authority as Editor. Being a co-traveller in that eventful journey, a feeling comes to me that Shujaat’s assassination has potential to push the local and national media to that dreadful nineties once again. The State Govt must take appropriate measures in consultation with the media. The journalists too have to guard against these dangerous trends in their own professional interest. Since freedom of speech and expression is soul of the journalists, its deprivation through the barrel of gun would lead to their “professional death” much before their destined natural death. Shujaat was one of the few self-respecting and proud Kashmiri journalists, who had defended the ‘objectivity’ of Kashmir press at every forum, be it at State, national or international level. He was the only multi-lingual and highly articulate Kashmiri journalist who had endeared himself to every group or individual that came into contact with him as a journalist or peace activist, and perhaps, that gave him a confidence, which alas proved misplaced, that no harm would come to him. Be it the State, National, Pakistan or International level, he made certain points steadfastly with conviction. Defending ‘objectivity’ of Kashmir reportage of conflict situation was a matter of conviction which he never diluted even while discussing it on one-to-one basis. Knowing well that there is no readymade solution to Kashmir situation, he pursued the idea of dialogue which was his mission as he believed that it is only during frequent interactions some way forward could be found. Every killing in Kashmir, more of locals, always left him sad. For many media persons and analysts, these deaths are nothing more than mere cold statistics and they moved on. But not for Shujaat; he was worried, not only on account of bloodshed but also on burgeoning regional gaps between Kashmir and Jammu. Despite huge difference of opinion on the basic issues, he pursued it to bring prominent members of civil society of both the regions closer. Second such meeting is slated in Kashmir on Sunday next. A point that he would always defend was Kashmir and Kashmiriyat, about which he was very passionate, and was always critical of Delhi for creating “trust deficit” between Delhi and Kashmir. He was very cautious about criticizing separatists and Pakistan. Even though enthused by announcement of unilateral Ramzan ceasefire he impressed upon the separatists and militants through his newspaper the need for their positive response to it in pursuit for lasting peace. Has his yearning for peace in Kashmir cost him his life? If ushering peace in Kashmir is a sin then Shujaat was a big sinner! Knowledgeable people including his contemporaries in the media have been talking about his candid outpourings at Track II Dubai meeting from July 31 –Aug 02, 2017 and some tend to link it with Shujaat’s killing. It was organised by the London based a NGO-Conciliation Resources, in association with the Kashmir Initiative Group. Members of civil society from India and Pakistan including J&K on both sides of the LoC participated. From J&K, those who participated included Shujaat Bukhari and three other Kashmiri journalists, representatives of NC, BJP, Congress & Panther’s Party and a civil society activist. It had people from Pakistan and PoK including Lt. Gen. (Retd) Asad Durrani, ex- ISI chief, Gen. (Retd) Ehsan-ul Haq, ex-chairman of Pakistan’s Joint Chiefs of Staff Committee, PoK’s Legislative Assembly Speaker Shah Ghulam Qadir, Abdul Rashid Turabi, a legislator & head of Jamaat-e-Islami’s, Convener of PoK’s Hurriyat (Mirwaiz faction), Faiz Ahmed Naqshbandi and Convener of the Kashmir Initiative Group, Irshad Mahmud. The organizers had refrained from sharing the outcome of the meeting saying that “The dialogue meetings are an opportunity for participants to voice their thoughts but it is not a decision making platform and do not have a partisan agenda. Conciliation Resources works towards inclusive processes and understands that it takes time in order to achieve this”. They said, these meetings are a process and not events to seek headlines in the media. Dubai Conference created fissures in the separatists’ ranks besides the media. But it evoked rage from militant groups especially Hizbul Mujahedeen which criticised it as motivated and aimed at “undermining the Kashmiri separatist movement”. In an interview to the Pakistani Urdu daily State Views, Salahuddin reprimanded the participants for being on the “payrolls” (of an unspecified institution) and “for backstabbing and conspiring against the separatist movement in the Valley”. The Lashkar-e-Taiba, too, had endorsed Salahuddin’s take on the Dubai conference. Highly cultured and decent human being, Shujaat had a huge bank of his fans in the State, Delhi, Pakistan and abroad. His professional contacts ranged from the political leadership across the board, separatist leaders, bureaucracy, army generals and police officers, intellectuals, thinkers, academicians on both sides of border. Many of these professional contacts have transformed into personal and family relations. He was perhaps the only Kashmiri journalist who commanded so much respect in Jammu. He has mastered the art of making friends which too appeared to have become his misdoings, creating unnecessary suspicions among militants and their handlers in Pakistan. Wherever he went – be it Kashmir, Jammu, Delhi, Pakistan or any other world city, people there took him as “their man” and this too contributed to a tag of “betrayal” for some. His journey from a small time journalist of Kashmir Times where he got the first lesson of journalism from his mentor late Ved Bhasin to The Hindu and then launching his own publications( in three languages) and internationally respected Kashmir analyst and seminarian is not without a hard work and struggle. His rise as a reputed journalist has also created many professional enemies which is very normal. He is perhaps the first journalist of J&K whose gruesome assassination has been so widely condemned and mourned not only in J&K and India but also by many of the international groups and agencies. The tell-telling comments of Indian and foreign well known journalists about his professionalism and helpful qualities on his killing gave true insight of Shujaat. Back home, political leaders, friends, colleagues, fans, civil servants and acquaintances besides known faces among separatists gave him a befitting burial at his native Kereeri which it had never seen earlier. The varied composition of mourners speaks volume about his popularity in the society across the board which the militants could scare by their despicable act. Going by the commitment held out by Shujaat’s grieving colleagues in RK that was published as tribute to their Editor, it shows that he had groomed his fellow journalists well. They wrote, “We won’t be cowed down by the cowards who snatched you from us. We will uphold your principle of telling the truth howsoever unpleasant it may be…” It is quite refreshing that the RK would overcome this catastrophe and carry forward Shujaat’s mission for peace. It is obvious that Pakistan’s ISI and militant leadership especially across the border was unhappy with Shujaat Bukhari’s pro- peace activities and it can’t be presumed that Shujaat was unaware of the conspiracy being hatched against him especially when Pak portal’s articles were circulated to many on what’s aap. Police too are in possession of these. Why didn’t he take it seriously? The security lapse in preventing dastardly attack on him is also obvious. More regretting is the attempt of some members of Kashmir civil society to endorse Pakistan’s mischievous charge against Indian agencies and demanded independent probe, showing mistrust of the same J&K police whose men are giving them the security cover. However, early arrest or killing of his killers would not deliver justice to the grieving family and his countless friends but also unravel the motive behind Shujaat’s gruesome killing.